Lyman's popular Expert Kit has always been the one kit with a complete selection of top quality equipment - including the Universal Case Trimmer. Now the Deluxe Expert Kit is the first to offer a digital scale. 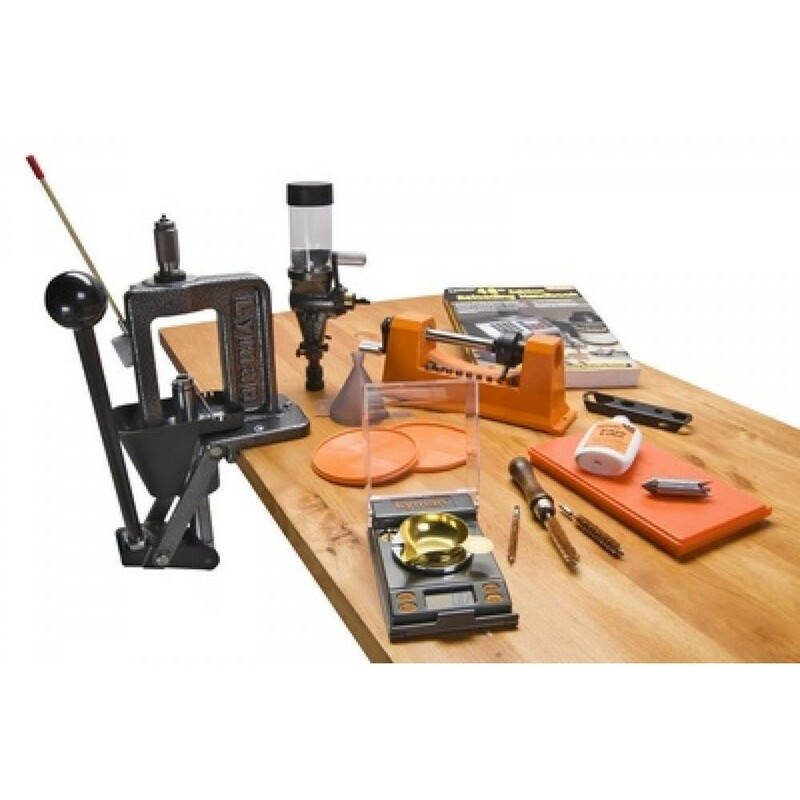 This is a truly complete selection of the best reloading tools in one package. Just add components and start loading your own high quality, custom ammunition. For powder handling, no other kit combines both a new Digital Scale and Lyman's famous #55 Powder Measure. In addition, it is difficult to find another kit that includes any case trimmer, much less the efficient Universal Case Trimmer with 9 pilots. To complete the kit, all the accessories needed to add speed and versatility are included as is Lyman's All new 49th Edition Reloading Handbook. The Lyman Deluxe 3-Die Rifle Sets most unique feature is a Carbide Sizing Button Assembly that is super hard and slick, eliminating the need for inside the neck case lube and prevents case stretching resulting in reduced case trimming. Another feature of the Lyman Carbide Sizing Button Assembly is the button can be adjusted so the user can maximize the leverage available at different positions in the operation of the press lever. The Carbide Sizing Button is used in the loaders choice of a Full Length Sizing Die and a Neck Sizing Die included in the 3 Die set along with a Bullet Seating Die. Full Length Sizing Die this die sizes case back to factory dimensions. Neck Sizing Die this die only sizes the neck of the case leaving the case the exact size of the chamber it was fired in. This also will not over-work the brass and results in longer case life. Vibratory Tumbler: PRO- Less expensive, CON- Noisy and requires more time investment during the cleaning process. A powder dribbler is not nescessary in the reloading process however it does make the process much easier, faster, and more accurate. 'The Lyman Magnum Impact Bullet Puller is designed to safely disassemble a loaded round in seconds with out damage to the bullet or brass case. Just smack the head on a hard surface until the bullet comes apart from the brass. The head design has been newly engineered to allow the puller to be used on a full range of calibres from the small 5.7x28mm FN to the largest magnum case. The "full size" ergonomic molded handle with rubber insert will provide a comfortable secure grip so the tool wont slip while being used. 'The Lyman Universal Reloading Tray is an essential accessory for organization and speed during the reloading process. This twin loading block holds 50 rifle or pistol cases for organized reloading sequence.